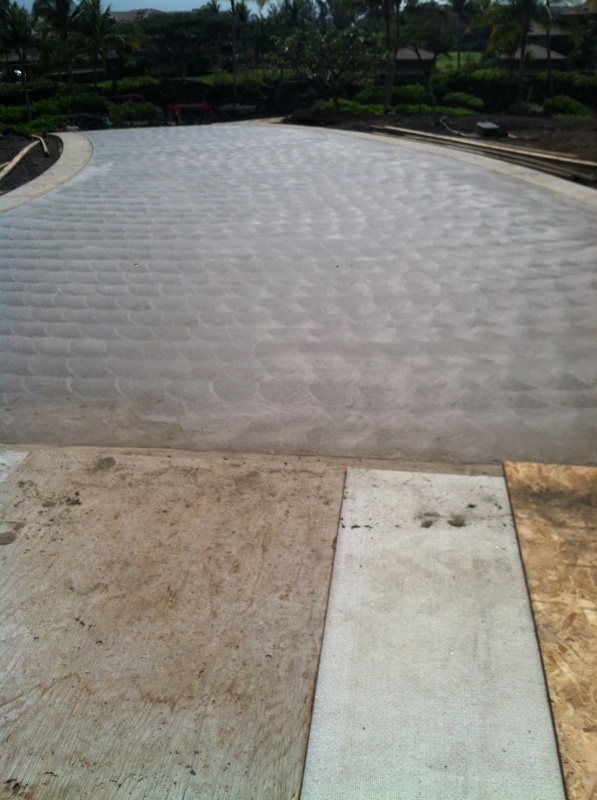 We bring the Big Island concrete done right. 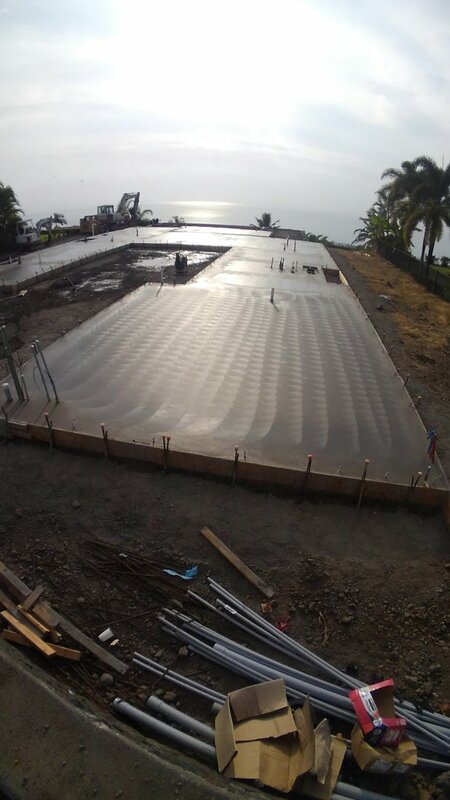 As Big Island locals and residents, we understand the environment and the role it plays in perfecting concrete. We pay attention to detail and provide superior work for homes and local businesses. We love our craft and it is reflected in the concrete work we do. 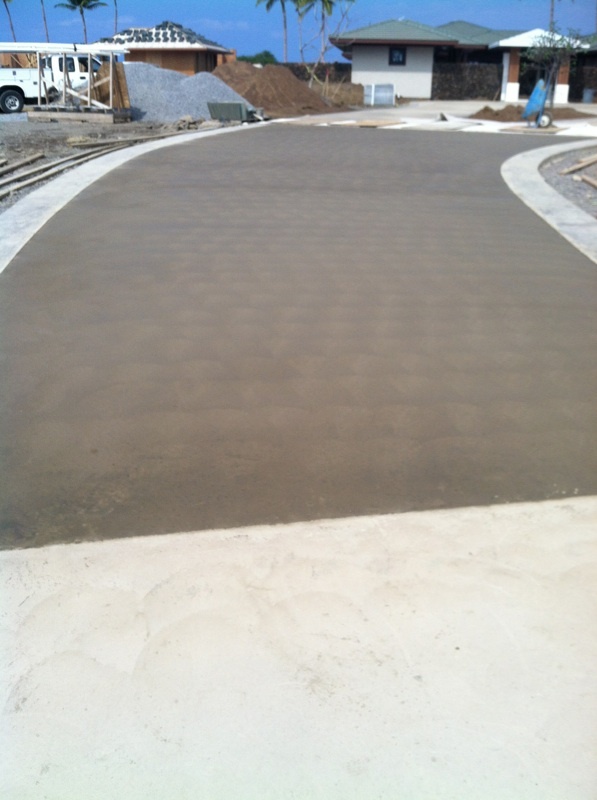 We take simple flatwork to the next level with our artistic touch. 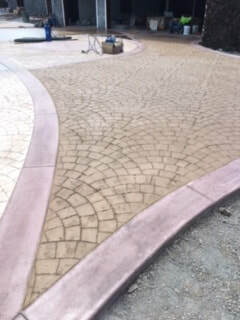 From stamped driveways to detailed patios and curbing, we deliver quality in all that we do. We stand by our work and the happiness of our clients. We guarantee the highest of quality in every job. ​"Concrete offers not only the foundational properties of a home or building, but decorative finishes to enhance any style". Decorative Concrete is becoming more and more popular and is a great way to add a new look to the traditional look of concrete. 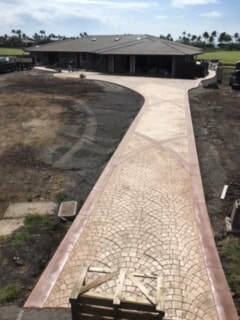 Stained Concrete and stamped concrete not only provide a solid foundation, but also offer an aesthetically pleasing, long lasting alternative to other options. Concrete Stained Patios for your Big Island home will bring to life the interior or exterior of your space. Please contact us with questions. Stamped Concrete adds dimension and texture to patios, pool decks, sidewalks, interior flooring, driveways, and more. Concrete stamps can make concrete look like brick, stone, wood, flagstone, tile, or other custom creations. 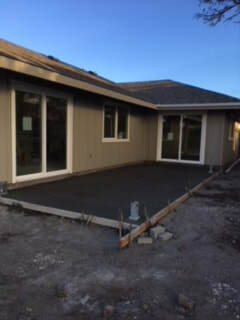 Add stain to stamped concrete and you have a custom, decorative concrete finish. Have questions, give us a call. We are happy to educate you on the versatility, stamps, and colors to choose from. 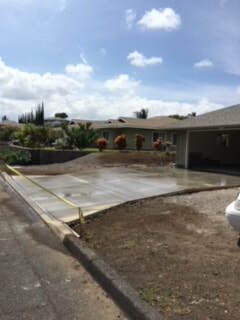 Big Island Custom Concrete is a locally owned concrete company serving Hawaii for nearly two decades. 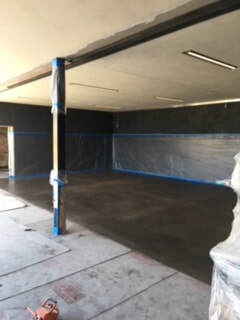 We provide high quality concrete services for Big Island residents. Inspired by our surroundings, we utilize the environment to influence some our custom creations and design, bringing out the beauty of the Hawaiian Islands.